Could teachers sensitize students to overcome prejudices and promote cultural differences, intercultural dialogue and active citizenship? On the 4th June, the partners from Italy, Greece, Bulgaria and Portugal have met in Palermo (Italy) for their 4th transnational and final meeting. The meeting has been hosted by the Centro per lo Sviluppo Creativo “Danilo Dolci”. In this special occasion, partners have been engaged in a full day of activities in which they have shared their feedbacks on the results of the project, reviewing the researches carried out at national level and planning the next final steps to be taken for the project. Centro per lo Sviluppo Creativo “Danilo Dolci” (Italy). During the event, partners have discussed about the activities carried out by the teachers with the students, the training programmes, the workshops and the opinion polls. Now that the project is close to an end it is important to exploit its results at the fullest, trying to reach the widest audience in order to have a real impact in our society. For this reason, there will be a wide dissemination process which implies the promotion of otherness outputs, involving teachers, students, schools and representatives of the society. Additionally, the resources produced, such as the Manual of OTHERNESS, will be available on the website othernessproject.eu under the sections “Resources” in English, Italian, Bulgarian, Greek and Portuguese version. For further information, you can follow us on Facebook or check the latest news on the webpage of the project. Is it possible to teach the values of understanding and respecting diversities to help young people to become responsible citizens? Could teachers sensitize them to overcoming prejudices and promote cultural differences, intercultural dialogue and active citizenship? The second training course of the project OTHERNESS held in Greece from 16th to 20th October. Participants were really proactive: they worked with others and shared their personal experiences. A good group atmosphere was created and activities were found really interesting and helpful among the participants. The agenda was structured with the first day of introduction and getting to know each other. The following days were organised with the implementation of some of the activities and the explanation of others. It was impossible to implement the whole 48 activities, so each partner presented and put into practice part of the resources they created. They did it counting on the feedback received from teachers after implementing the activities the past year. Out of the 9 teachers from each country, one had already implemented the activities during the past year and it was really enriching the fact that they shared the experiences and the way they adapted the activities with their students and some of the problems faced and how they resolved them. The most innovative part of the training course was the fact that one of the resources was done by students of a Greek school where they have been implementing the activities during this scholastic year. OTHERNESS is financed by Erasmus+ Key Activity 2: Cooperation for innovation and the exchange of good practices – Strategic Partnerships for school education with the aim to educate students to show tolerance, express and understand different viewpoints, negotiate with the ability to create confidence and feel empathy. The current phenomena of globalization and the migration crisis are actually contributing to make our society become as communities hosting people from different cultural backgrounds. This situation can potentially generate a lot of opportunities on the behalf of the welcoming society. Unfortunately, not all the citizens of the arrival countries seem to be ready to deal with the richness and chances of growth otherness brings. Education plays a key role to make inclusion possible: the OTHERNESS project activities wants to highlight this aspect, educating students to develop tolerance, express and understanding different point of views, act in an active way, developing empathy and trusting in others. All this will be possible by providing teachers the right tools to deal with these topic, by exploiting the potential and benefits of non-formal education activities. 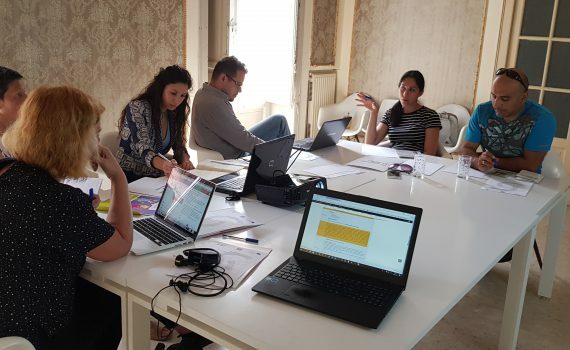 From the 28th June to the 1st July 2017 the OTHERNESS partnership organized a Transnational meeting in Santarem (Portugal) in order to have an overview of the project activities implemented up to now and to decide the next steps to be taken. Moreover, the meeting has been an opportunity to exchange good practices among partners, thus generating new ideas for the next activities in each country. Finally, the Santarem meeting has been a chance to fix the dates for the teacher training which is going to take place in Thessaloniki, Greece, from the 16th to the 20th October 2017: this activity will allow to train new teachers for the next phase of the project, which is going to involve again 3 schools in each partner country, open new classrooms and students to the otherness. OTHERNESS is a project funded by the ERASMUS+ Programme, Key Action 2: Strategic Partnership in the field of schools, lasting 3 years (2015 – 2018). Its main objective is to provide teachers knowledge, skills, tools to allow to train students in the topic of diversity, human rights and active citizenship, raising the new generations’ awareness on these key topics. 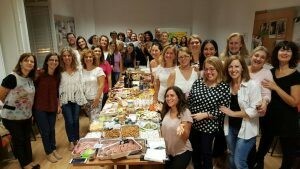 About forty teachers of middle and secondary schools from four different countries met here in Palermo from the 24th to 28th of October to take part to a training course hosted by the Centro per lo Sviluppo Creativo “Danilo Dolci”. The teachers have experimented non-formal education technics such as the theatre of the oppressed, role-play games and simulations, team works, brainstorming and guided debate, to acquire new methods to educate their student to the topics of diversity, human rights and active citizenship. In the framework on the Erasmus + project OTHERNESS, the four partner organisations developed a teachers manual with a total of 48 activities to be implemented in class to address several sensitive issues such as the respect of the human rights, the different aspects of diversity, ethnic, gender, intergenerational, social and so on, and to promote the importance of an active and aware participation in the community’s life, the respect of the environment and of the other people. Each activity included in the manual consists also of a digital tool (quizzes, videos, handy software for students, interactive tools and animations) to make the addressed topics more attractive for the students and send the messages in a more effective way. 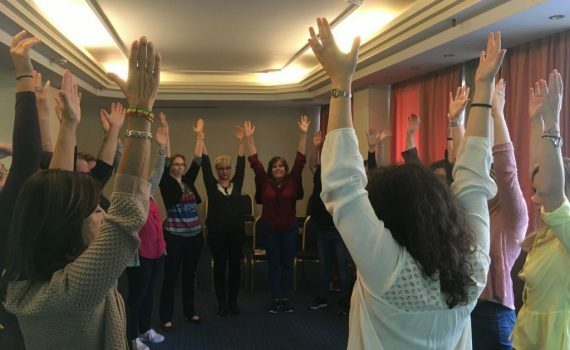 In Palermo, teachers tried in practice some of the activities included in the manual during an intense and productive week, full of reflections, discussions, performances and games. The teachers involved in the training will implement the activities in their schools in the next months as a piloting to verify their applicability and efficacy on the students. Basing on their feedbacks, the necessary changes will be done for the finalisation of the proposed resources. The Manual of OTHERNESS is available in English and it will be available soon also in other 4 languages (Italian, Bulgarian, Greek and Portuguese) on the website othernessproject.eu under the “Resources”. The project OTHERNESS (ERASMUS+ Key Activity 2: Cooperation for innovation and the exchange of good practices – Strategic Partnerships for school education) aims to educate school students to show tolerance, to express and understand different viewpoints, to negotiate and to feel empathy, in few words to respect “Otherness”. 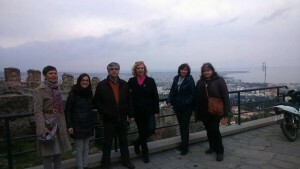 The last 17th and 18th of February, the project’s partners met in Thessaloniki – Greece, to have a look on the results reached so far and to plan the next project’s phase. 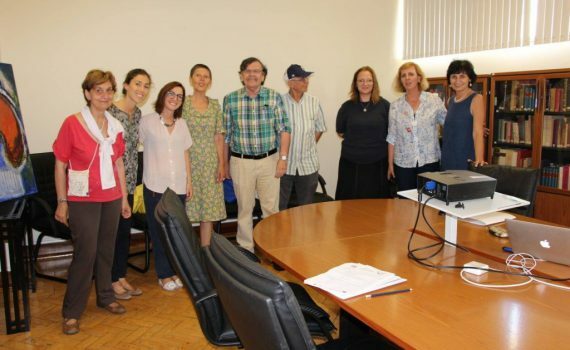 In particular, the partners had the occasion to have a review on the researches carried out at national level, to investigate how the school system of the different European countries involved in the project, address the issue of diversity and if and how this topic is embedded in school books and training materials for teachers. Along with this, partners carried out an opinion poll with a total of around 700 students in 4 countries, surveying their attitude to “otherness”. These results will be part of project’s Output 1 which will be translated in national languages and be available to download in the next weeks. The research has been useful as a first step to the next project phase: based on this need analysis and on the data collected, a training manual will be elaborated, as a tool to be used by teachers to educate students to accept, respect and understand the richness of “otherness”. The manual will contain non-formal activities and a digital tool with online resources and e-contents which will be piloted in the next school year in 12 schools of Italy, Greece, Bulgaria and Portugal. During the meeting, partners agreed on the structure and methodology to be follow in the elaboration of this second Output, establishing a working plan and deadline for the next months. Partners, together with 9 teachers per country will meet next October in Palermo to receive a training on the educational program to be implemented in their schools. Every individual is unique, equally worthy and has the right to live according to their beliefs, customs, practices and established behavior rules. Nowadays we live in a world in which globalization and migration have brought together people from different ethnic origins, religious backgrounds, beliefs, traditions and languages. But sharing a common space does not automatically result in opening yourself to Otherness, trying to understand differences, valuing diversity and building common grounds for dialogue. Human rights, diversity, tolerance and non-violence related issues have become even more important considering the Charlie Hebdo shooting and all alerting January 2015 events in Paris and the following violence acts in other places round the world. All “Otherness” partners come from countries which are at the EU external borders and also have large minority groups, which makes project objectives even more relevant in the context they exist. The project involves 4 partners from Bulgaria, Greece, Italy and Portugal. The participating institutions, 3 NGOs and a university, have strong background in designing training resources and providing trainings in civic education related topics and non-formal and formal education approaches. We believe that schooling could play a key role in overcoming the historically developed negative attitudes to human differences, which is one of the key objectives of the project. Project activities aim at supporting students in being open-minded, understanding and valuing diversity, knowing and respecting human rights and being actively involved in community life. The realization of this role suggests that teachers have the knowledge, skills and tools which will enable them to provide training activities for students in the project subject areas. Centro per lo Sviluppo Creativo Danilo Dolci is partner of OTHERNESS, a new project coordinated by the Bulgarian foundation Prosveta-Sofia and with the Polytechnic Institute of Santarém (Portugal) and the Center for Non-formal Education AENAO (Greece) as partners. The project aims to support students in adolescent and pre-adolescent age to be open mind, to understand and respect the otherness and to appreciate who is different as a richness. To do this, the project aims to develop training tools in support of teachers, including a manual that will collect non-formal activities and digital resources to educate students to diversity, human rights, intercultural dialogue and active citizenship. Nine teachers per country will be trained for the transfer of these resources in their classes during the next school year 2016/2017. 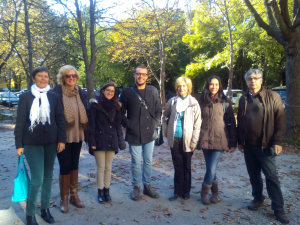 The project partners met on 29 and 30 October in the beautiful city of Sofia to give the official start to the project, to establish together some organizational and methodological aspects and to agree on the next steps to take. In the coming weeks, in each of the four partner countries, three schools will be selected: there, in three classes per school, a questionnaire will be given to assess the level of acceptance of diversity between students. Then, a research will be carry out to understand how the issue of diversity and human rights is embedded in the school materials and training resources for teachers. Based on these data the training tools will be elaborated and tested with the teachers in order to educate their students to be active European citizens, aware, respectful, ready to welcome and understand the otherness. The partners will meet again next February 2016 in Greece, to discuss the results of the preliminary phase – students’ survey and desk research – and on the basis of these, to determine how to set up the elaboration of the outputs of the project – training manual and digital tool. The project will have the duration of three years and is funded by the Erasmus+, Key Action 2 – Strategic Partnership for School Education.